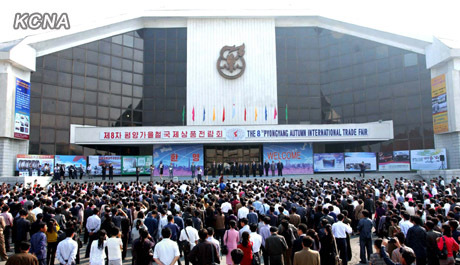 The 12th Supreme People’s Assembly [SPA] will hold its sixth session on 25 September. Ahead of the DPRK’s unicameral legislature convening an unusual second session during a given year, there are indications that the country will publicize modifications to current agricultural policies and expand special administrative zones. Reports of the possible changes came from both inside and outside North Korea. Farmers in North Korea are currently required to hand over almost all of their production to the state, after keeping a portion for their families. But two farm workers south of Pyongyang told the Associated Press (AP) news agency that new rules – allowing them to keep any surplus after a government quota had been met – would be implemented later this year. Reuters news agency also reported the plan, citing an unidentified source with ties to Beijing and Pyongyang. “Peasants will have incentive to grow more food. They can keep and sell in the market about 30-50% of their harvest depending on the region,” the news agency quoted the source as saying. No official announcement has been made but analysts see it as a sign of a potential change of direction under the country’s new leader, Kim Jong-un, who took power after the death of his father Kim Jong-il in December 2011. 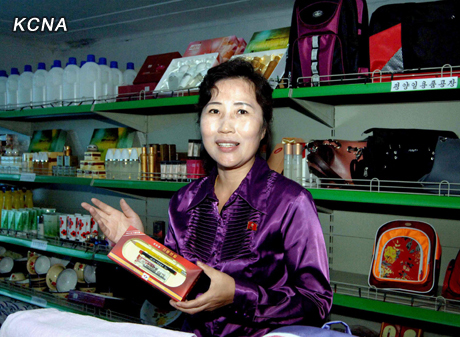 On a personnel shift related to agricultural policy; prior to the 12th SPA’s 5th session in April 2012, DPRK Cabinet Vice Premier Kim Rak Hui (Kim Rak-hu’i; Kim Nak-hui) was quietly retired from her government position. Kim spent most of her career as an agricultural official on local people’s committees and rural management committees; she was designated a national hero by Kim Il Sung for successfully administering food supplies during the Fatherland Liberation War (Korean War). If reports about Kim Jong Un privately announcing a new agricultural policy in late June have any degree of accuracy, they were formulated weeks, if not months, in advance. Kim Rak Hui’s retirement would have been necessary to undercut senior, internal opposition and remove a public figure who might be associated with the old policy. There are rumors that the SPA will announce an expansion of special economic zones. 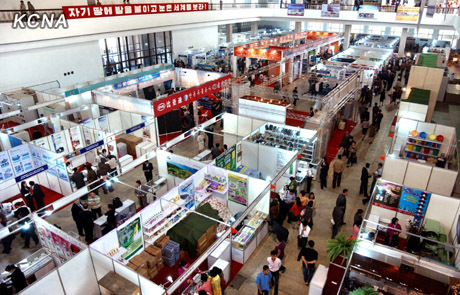 Currently, there are two economic zones in the DPRK: Raso’n (Rajin-So’nbong) in the country’s northeast and Hwanggu’mp’yo’ng-Wihwa Islands in the country’s northwest, in addition to the inter-Korean zones at Kaeso’ng Industrial Complex and the Mt. Ku’mggang area. Of these three options, the designation of Sinu’iju as a special administrative zone is a fait accompli. 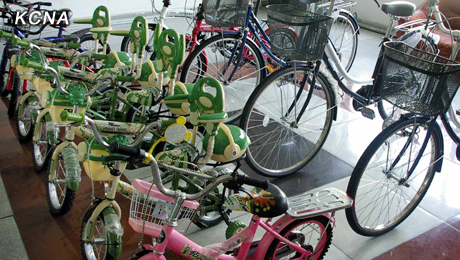 The provincial capital of North P’yo’ngan received its designation in 2002 during the 10th Supreme People’s Assembly and appointed a Chinese-Dutch businessman, Yang Bin, as chief executive. However, to paraphrase Aidan Foster-Carter, those plans were not thought through and Yang Bin was subsequently arrested and incarcerated for tax evasion. Hwanggu’mp’yo’ng is located southwest of Sinu’iju, and Wiwha located to the north with both islands situated in the Amnok (Yalu) River, geographically bookending the city. 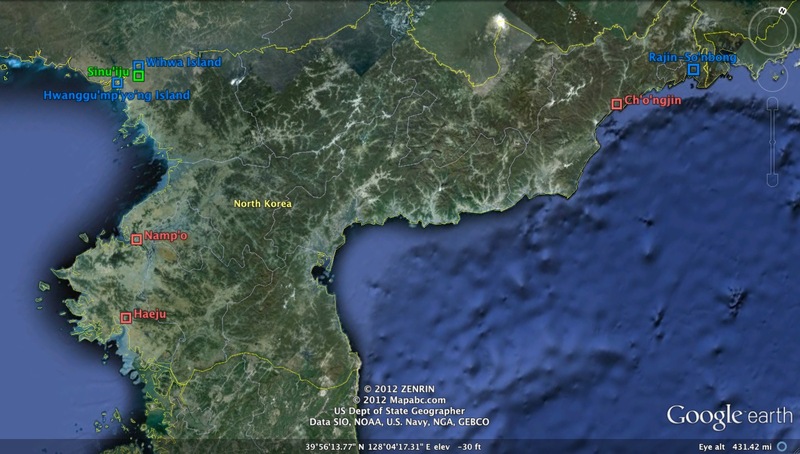 If the development of the two islands attains any traction, DPRK policymakers must consider (and revise the requisite statutes) the re-establishment of Sinu’iju (well, at least those areas north and west of the mosquito net fence that bisects the city) as a special administrative zone. The potential expansion of special administrative regions may have partially contributed to two recent, senior appointments in the Korean People’s Army [KPA]. If the designation and development of Haeju is under serious consideration, it may have been part of the appointment of Col. Gen. Pyon In Son as commanding officer of IV Army Corps in August 2011. 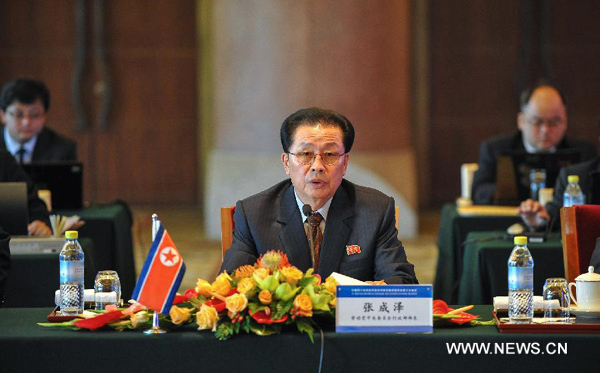 Col. Gen. Pyon previously served as a Vice Minister of the People’s Armed Forces and visited China in 2010. It is a standard practice to rotate general-grade officers from the KPA’s high command in Pyongyang to the corps command. 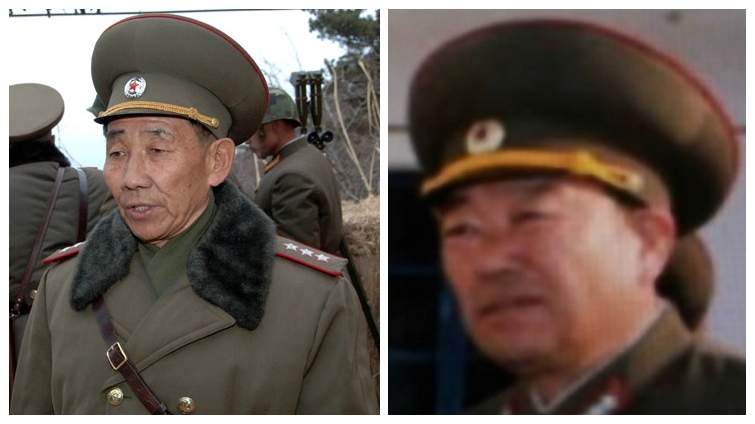 However, the central leadership may have found Col. Gen. Pyon’s predecessor at IV Corps, Gen. Kim Kyok Sik, more useful in Pyongyang (especially if a KPA housecleaning was under way). Col. Gen. Pyon, having some experience interacting with senior Chinese military and political officials, may have been placed at IV Army Corps with the expectation that if Haeju were developed (with Chinese or even Korean partners) it would reduce any frictional interactions with KPA personnel stationed in the area. 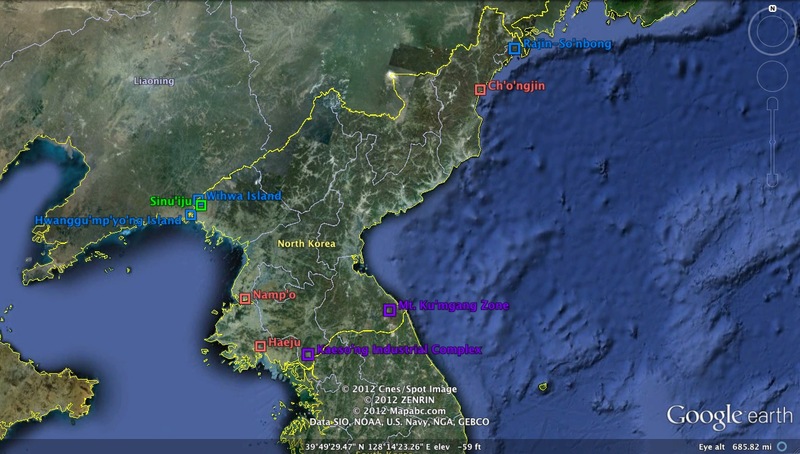 Development of Hwanggu’mp’yo’ng and Wihwa Islands (and Sinu’iju) was most likely one of the reasons Hyon Yong Chol was named chief of the KPA General Staff. Prior to his formal appointment this past July, VMar Hyon was commanding officer of VIII Army Corps, which is headquartered approximately 72 km (45 miles) east of Sinu’iju, with assets close to the city. Nigeria and the Democratic Republic of Korea are set to partner on the development of solid minerals in the country. The ambassador said this when he paid a working visit to the Minister of Mines and Steel Development, Architect Musa Mohammed Sada, in Abuja, yesterday. He said that the offer was for both the Federal and State governments as part of effort to enhance the development of the Steel sector. 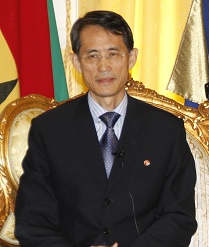 Jong Hak Se maintained, “that Korea like Nigeria was enriched with lots of mineral resources and shared a vibrant solid minerals sector but differed in that while Nigeria sought to be one of the 20 most developed countries of the World by the year 2020, Korea wants to be the most developed Country by 2020”. 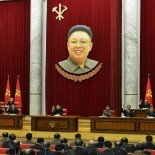 Pictures 1,8,9 Ko Young-hee closer to #DPRK canonization http://english.people.com.cn/90777/7938185.html. KJU likes to visit homes around 6 pm. in pic 3 & 12.
small observations compared to the wonderful work and analysis you all have laid out. This entry was posted on 09/24/2012 by nkleadershipwatch in Administration Department, Central Committee, Central Military Committee, China-DPRK Yalu River Patrol Missions, Choe Yong Rim, colonel general, corps command, cpc-kwp rels, critical infrastructure, DPRK Cabinet, DPRK Central Bank, DPRK External Relations, DPRK Premier, DPRK-Africa Relations, DPRK-China Joint Guidance Committee, DPRK-China Relations, DPRK-Japan Relations, DPRK-Japan rels, DPRK-Nigreria Relations, DPRK-PRC Border, DPRK-South Central Asia, DPRK-Southeast Asia Relations, Finance and Accounting, Financial Planning Department, food production, Gen. Hyon Yong Chol, Hwanggumphyong (Hwanggu'mp'yo'ng) Economic Zone, Inter-Korean Relations, International Department, Jang Song-thaek, JVIC, Kang Sok Ju, Kim Family, Kim Jong-un, Kim Yang Gon, Korean People's Army (KPA), Korean Workers' Party (KWP), KPA construction battalions, KPA construction brigades, KPA External Relations, KPA General Staff, KPA supernumerary organizations, Light Industry Department, local people's committees, Machine Building Industry Department, mines, Ministry of Capital Construction, Ministry of Electronic Industry, Ministry of Extractive Industries, Ministry of Finance, Ministry of Food and Procurement, Ministry of Foreign Trade, Ministry of Land and Environmental Protection, Ministry of Light Industry, Ministry of Metal Industry, nason, National Defense Commission (NDC), NDC Administration Department, North Pyongan Provincial People's Committee, Organization and Guidance Department, Political Bureau, Provincial Party Committees, Provinicial People's Committee, Rajin-So'nbong People's Committee, Raso'n Economic Zone, Ro Tu Chol, rural management committees, Secretariat, Sinuiju City People's Committee, State Planning Commission (SPC), Supreme People's Assembly, transportation, transportation--railways, tunnel construction, United Front Department, VIII Army Corps, water facilities.